Greater encoding performance, better bandwidth utilization, and incredibly power efficient: our new line of HD and UHD H.265 codecs will bring your digital video workflow into the future. HEVC, also known as H.265, is a next-generation compression standard that offers a number of enhancements over H.264. Compared to AVC (H.264) compression, HEVC is 50% more efficient, which translates into maintaining the same video quality at half the bitrate or double the video quality at the same bitrate. In other words, H.265 will save you on bandwidth overhead and cost, especially if you’re transmitting over cellular networks. Our Bond module will convert your Cube 600, 700, and 800 series into a 5-modem cellular bonding powerhouse. Combined with our Node cellular modems, connectivity problems will become a thing of the past. Turn your Cube 655 or new HEVC Cube into a cellular bonding device with our brand new Bond module. 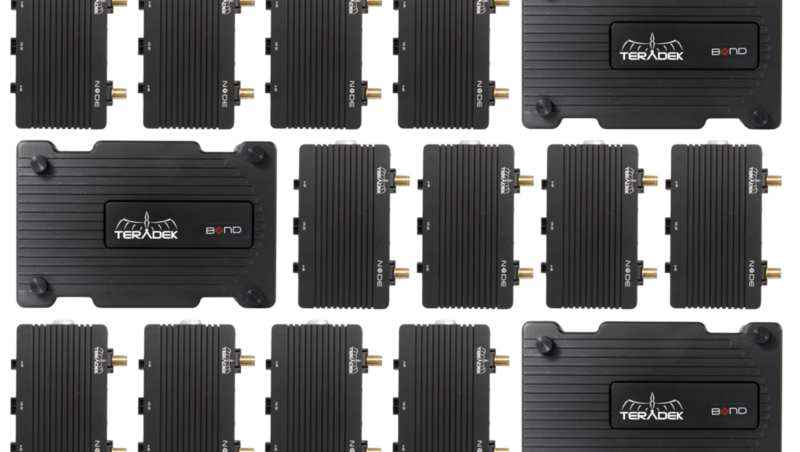 Built to slide seamlessly onto our latest Cube models, the Bond module allows you to stream over up to 5 3G/4G/LTE connections at the same time. To keep the system running constantly while you’re on the move, we’ve added a small Li-Ion battery that will give you 5 minutes of extra run time while you swap out your V- or Gold-mount battery. As an alternative to the camera-mounted model, we’re also introducing a Bond backpack to keep your system protected from the elements. 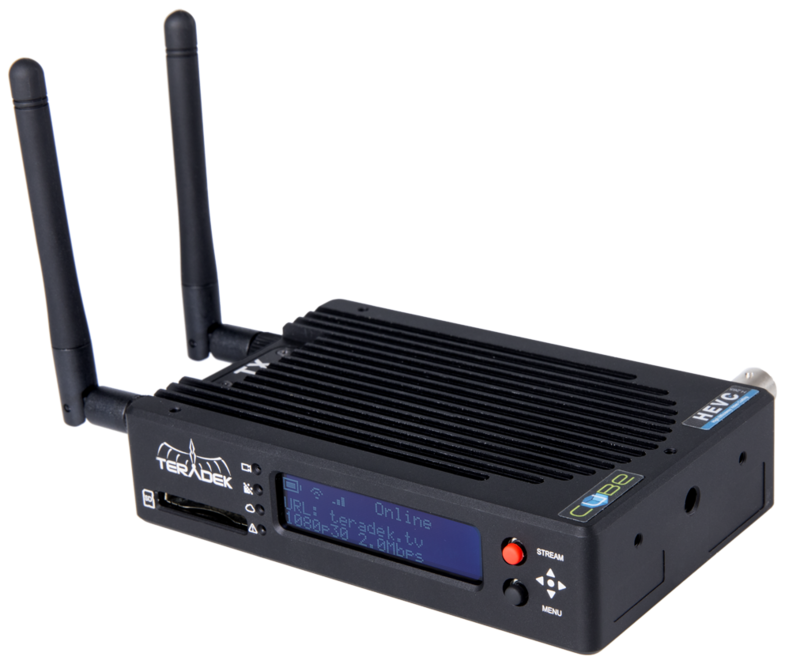 The pack includes room for several (4) smartly mounted modems, in addition to a quick access pocket for swapping power options and configuring your device. More details coming soon. Finding the right balance between performance, hardware design and price in a wireless access point is tricky, but not anymore. Link is the world’s first high-performance 802.11ac WiFi access point built for the video industry. Housed in an aluminum chassis with a variety of clever mounting options, Link fits seamlessly onto DIT carts, light stands, and just about anywhere on set. 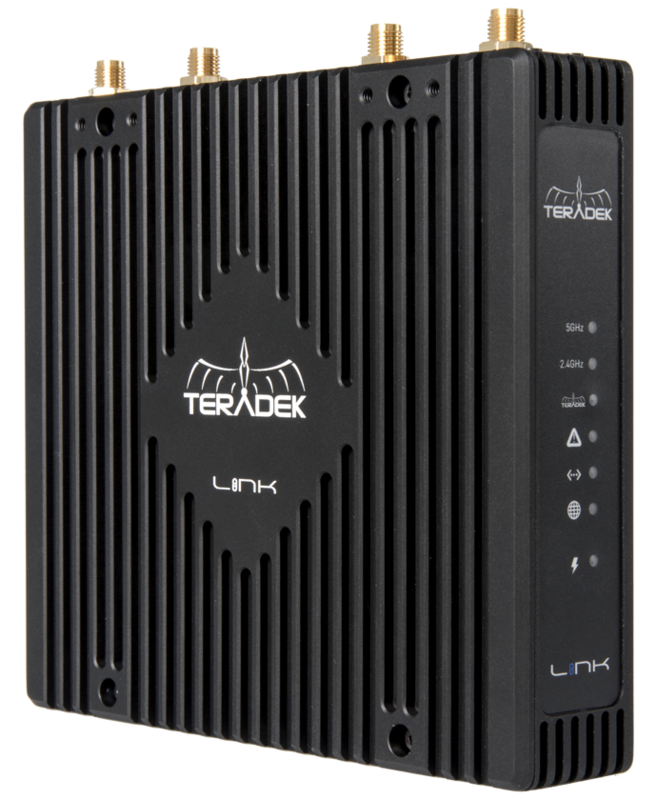 With a range of up to 1000ft, Link offers plenty of room for you to operate on both the 2.4Ghz and 5Ghz bands with your Teradek Cube, Serv, Clip and personal laptops. To keep the system powered in more remote areas on set, we’ve included your choice of a V- or Gold-mount battery adapter. No cables, no clutter: the Bolt module for RED DSMC2 cameras offers up to 3000ft of zero delay wireless video while fitting seamlessly onto the back of your rig. 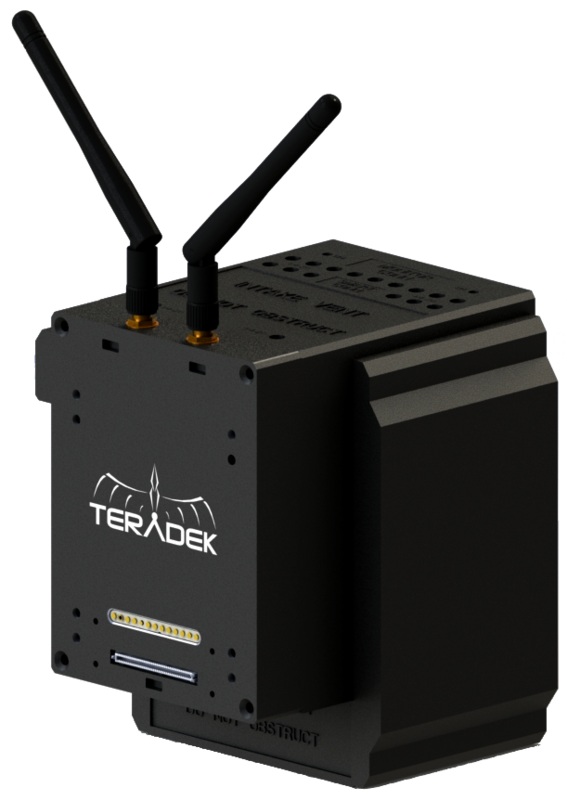 Keep your rig lightweight and free of clutter with the new Teradek Bolt for RED DSMC2 cameras. Available in both 1000ft and 3000ft models, the new Bolt DSMC2 mounts directly to the back of your Weapon, Raven, Epic-W, and Scarlett-W, allowing you to operate without additional cables and accessories around the camera. The new Bolt design gives you a looping EVF output and transmits RED’s RCP data as an overlay to connected Bolt receivers. Even better, the Bolt DSMC2 can be sandwiched between additional DSMC2 accessories, giving you complete freedom to customize your workflow with several additional modules available from Offhollywood or the Wooden Camera D-Box.